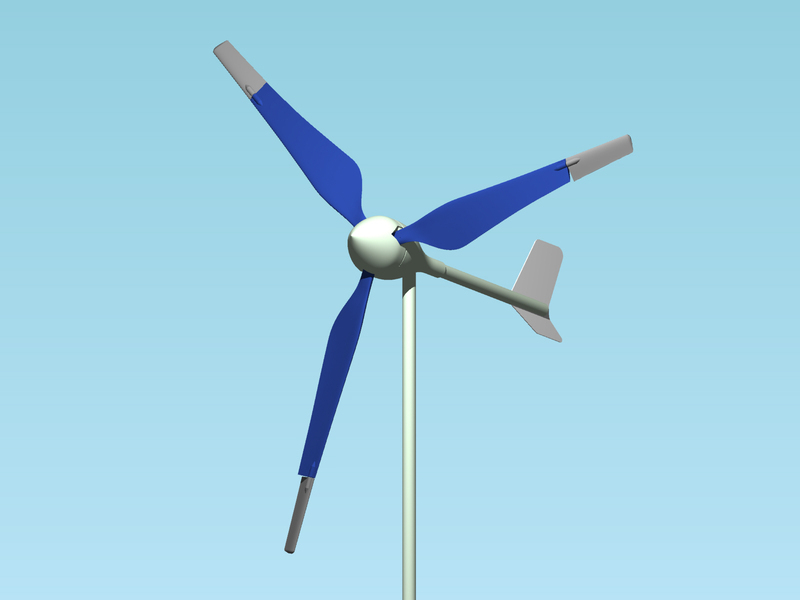 The segmented turbine blade arrangement provides improved energy yield in turbulent wind conditions when compared to conventional turbines. Freely pivoting blade segments automatically and optimally align with the actual airflow direction experienced by that segment of the blade. The different sections are thus always aligned at an optimal angle of attack to the actual airflow over the blades. The blade design increases the daily power yield from wind turbines operating in turbulent wind conditions typical of low level urban installations or moving installations such as on boats. • The segmented arrangement adjusts the blade angle to an optimal value and thus allows for greater energy capture than conventional turbine blade designs. • The segmented arrangement is suitable for small sized turbines. Preliminary testing has been conducted and the concept has been proven at small scale. A larger prototype has been designed and built and is currently being tested. • Can be used in the maritime industry (boats and cruise ships) as motion favours this type of flexible turbine arrangement.